10. 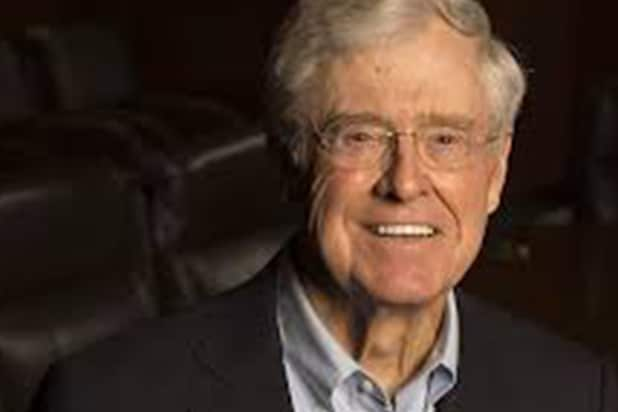 Charles Koch Net worth: $48.5 billion One half of the Koch brothers, Koch is chairman and CEO to Koch Industries, the second-largest private company in the United States. He splits control of the company with brother David. 9. Bernard Arnault Net worth: $53.2 billion The CEO of LVMH, Arnault oversees 70 luxe retail brands, including Dom Perignon, Sephora, Louis Vuitton, Bulgari and Tag Huer, not to mention 3,900 other retailers. 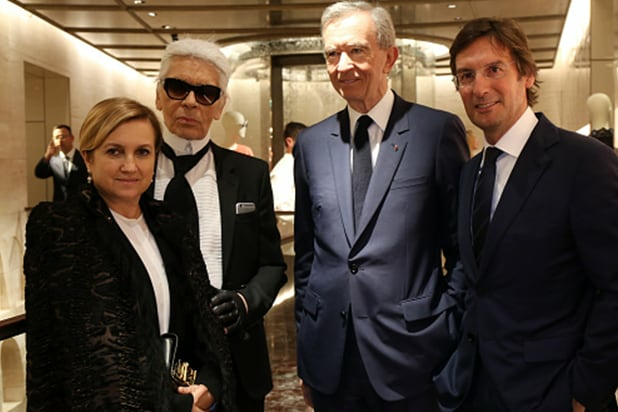 (Yes, that's Karl Lagerfeld he's pictured with here). 8. Michael Bloomberg Net worth: $53.3 billion Bloomberg still retains an 88% stake in Bloomberg LP, the media and financial informations company he founded. He's donated more than $4 billion towards gun control and climate change. 7. Larry Ellison Net worth: $61.3 billion The Oracle co-founder is another college dropout. He got his start building databases for the CIA and now still serves at Oracle as chairman and chief technology officer. 6. Carlos Slim Helu Net worth: $68.6 billion Helu heads Mexico's largest mobile telecom firm, America Movil. He's also involved in real estate, construction consumer goods and mining companies, making him Mexico's richest man. 5. Mark Zuckerburg Net worth: $70.2 billion For a Harvard dropout, the Facebook founder and CEO is doing pretty well. He and his wife have pledged to give away 99% of their Facebook stake over their lifetimes. 4. Warren Buffet Net worth: $74.3 billion One of Gates' good friends, Buffet is known as one of the most successful investors ever. Berkshire Hathaway owns more than 60 companies. 3. Amancio Ortega Net worth: $83.5 billion Ortega co-founded the parent company to popular fast-fashion retailer Zara, Inditex. He's the wealthiest man in Europe. 2. Bill Gates Net worth: $89.7 billion The Microsoft cofounder co-chairs the Bill and Melinda Gates Foundation with his wife; it's the world's largest charitable foundation. 1. 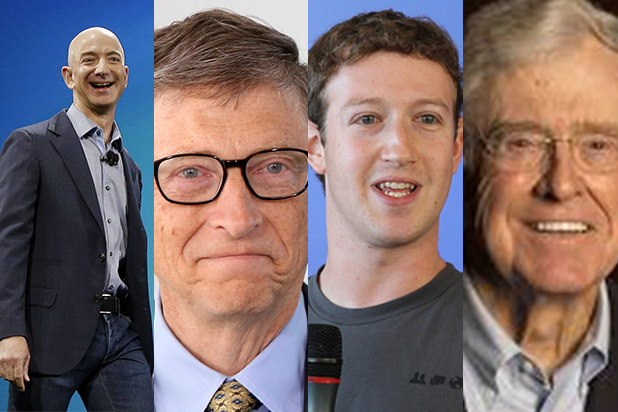 Jeff Bezos Net worth: $90 billion Bezos overtook Microsoft mogul Bill Gates on Thursday. He's the founder and CEO of Amazon, which passed $500 billion market value this week for the first time.